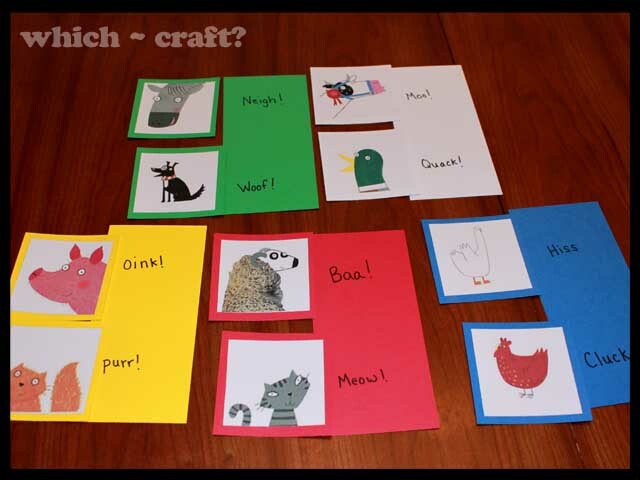 Julia Donaldson Virtual Book Club | Which~Craft 2 Create? Julia Donaldson. Sadly, when I started the project our library didn’t have The Gruffalo in. 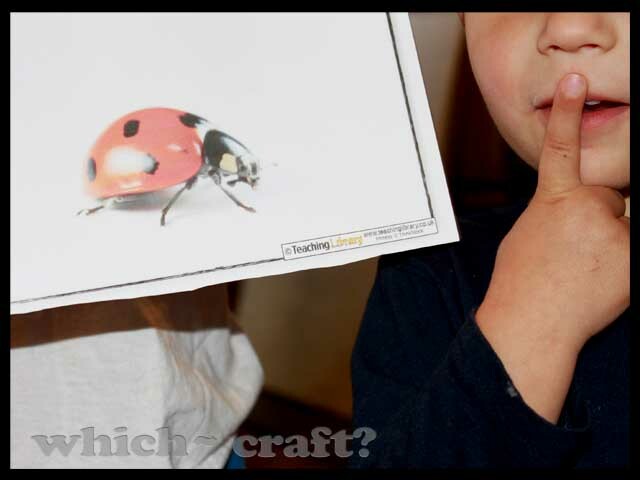 But I think we hit gold with the book What the Ladybug Heard! Thanks for stopping by to see what we did! 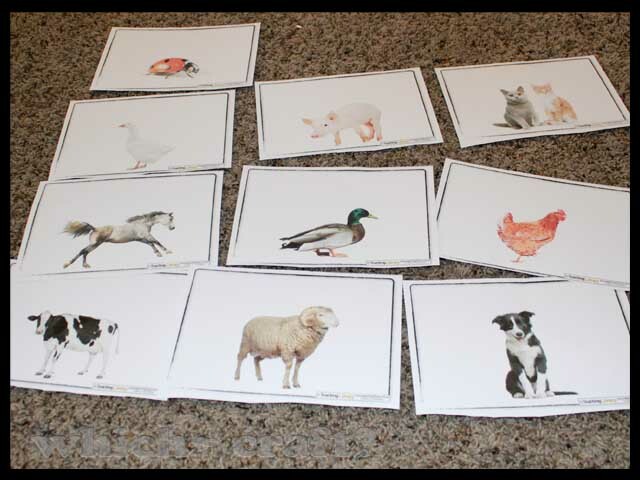 To play we first reviewed the sounds of each animal with my toddler before placing the pictures around the room. 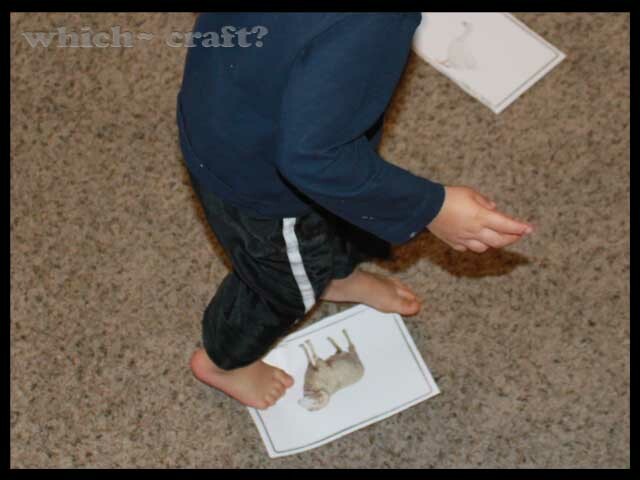 Then we took turns calling out an animal sound and the players ran, slithered, galloped, etc their way to the animal. My boys LOVED this activity. This game was a winner! It was active and included making animal sounds (and a bit of watching for the ladybug). They even loved taking turns being the caller and playing it over and over again. 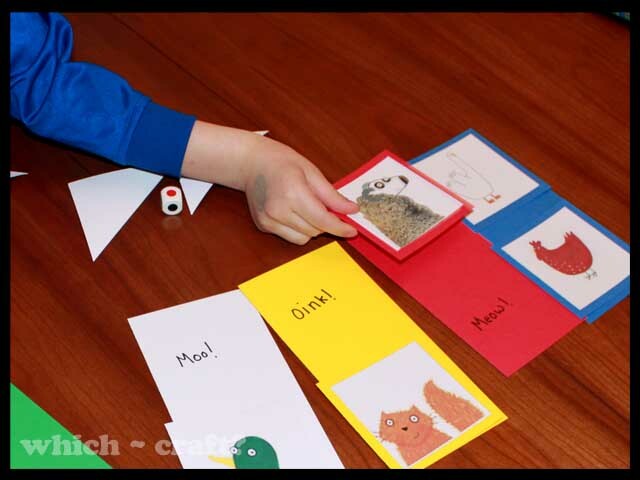 Not to mention a fun way to reinforce animal sounds! 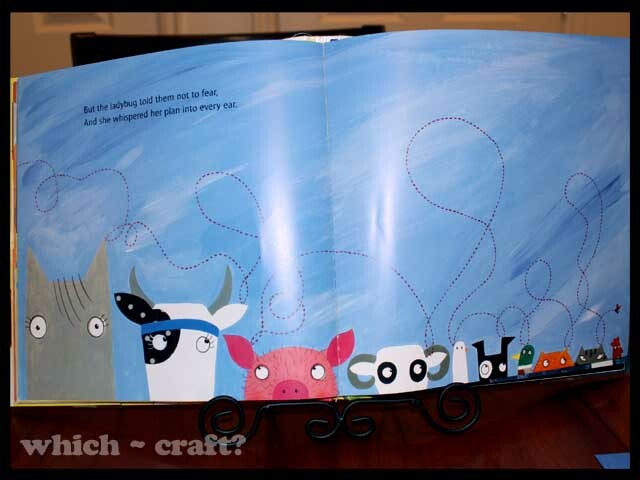 The goal of the game is for the ladybug to whisper the plan to each animal before the robbers get the cow. 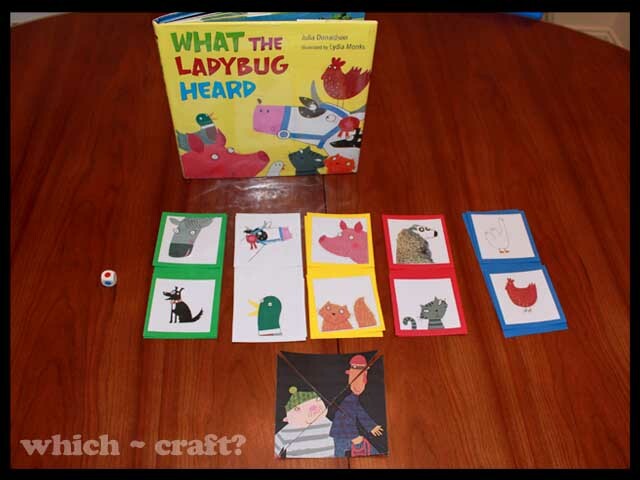 To play: All the players work together as the ladybug to get all the animals lined up before the robbers puzzle is built. If they do then they win. If not then the robbers steal the prize cow. First, find a multicolored die. 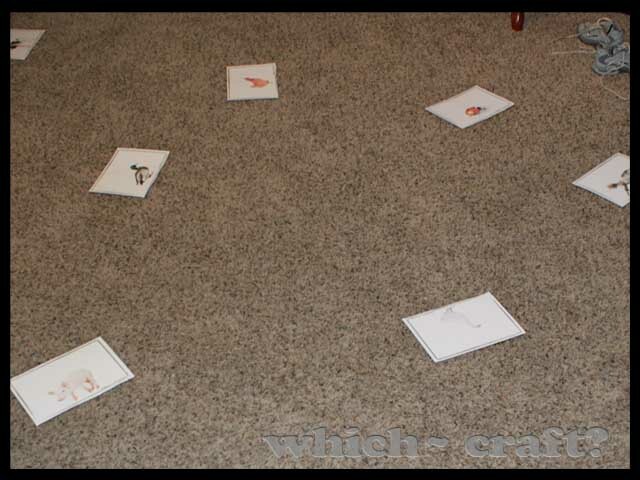 Then, line up your animal cards and game board pieces. Next, place your robber puzzle pieces upside down. (To make the game pieces I did another image search for the book and dropped it into photo shop to create each piece and mounted them on cardstock). I opted for this to be played 2 ways. 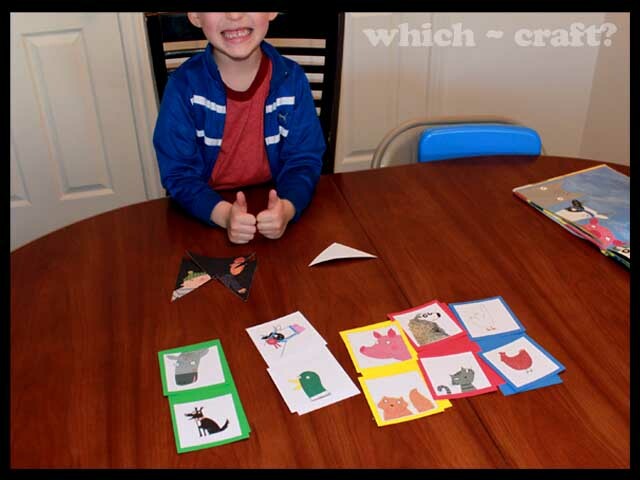 My toddler is matching the colors while my preschooler matches the animal to the correct word sound and places it in its spot. 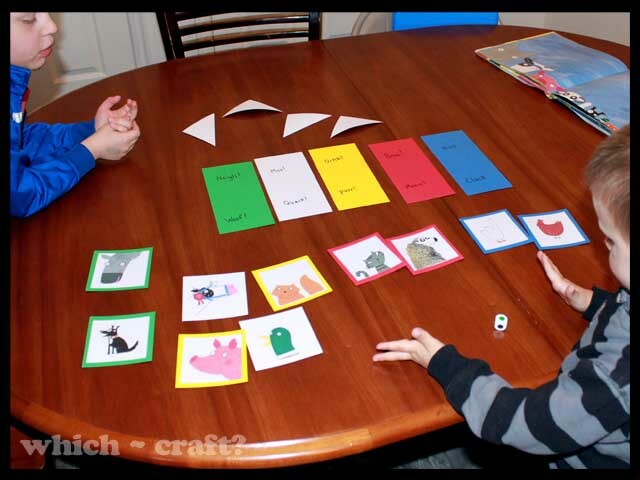 This allows my toddler to work on colors while my preschooler works on reading. Roll the dice. If we roll a color that matches one of the animals we get to “whisper the plan” to the animal with the corresponding color and place it on its spot. 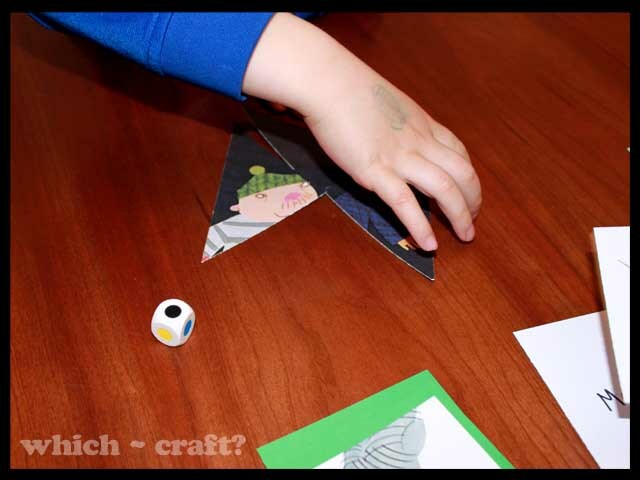 If we roll the black side we must flip over a piece to our robber puzzle. If all the animals get lined up before the robber puzzle is built WE WIN! As you can see this game got 2 thumbs up! We all had a great time working together to save the prize cow. Do you have a favorite Julia Donaldson book? 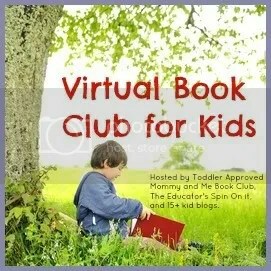 Check out these links to see more fun activities to go along with her books. This entry was posted in Book Activities, Kids. Bookmark the permalink.